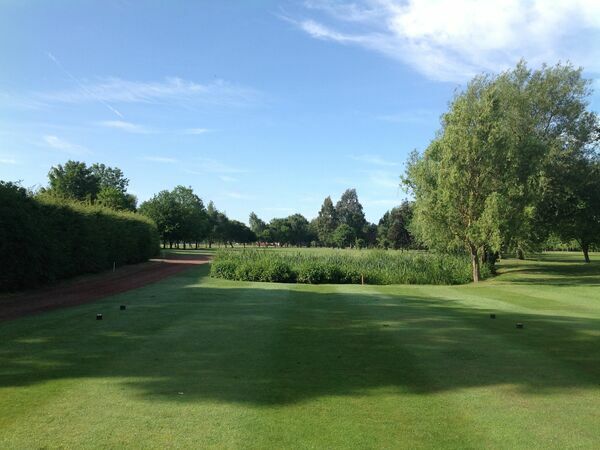 The pond only 20 yards in front of the medal tee ensures that the golfer keeps his head down on the drive, which ideally should be left of centre to avoid the small copse of trees on the right. Too long a straight drive can mean a difficult second shot to the green from behind the trees lining the left of the fairway. 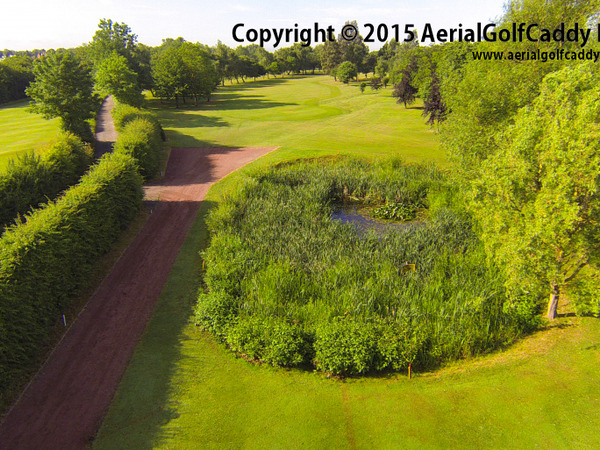 The hole doglegs right with a ditch behind the hedge running all the way down to the green. 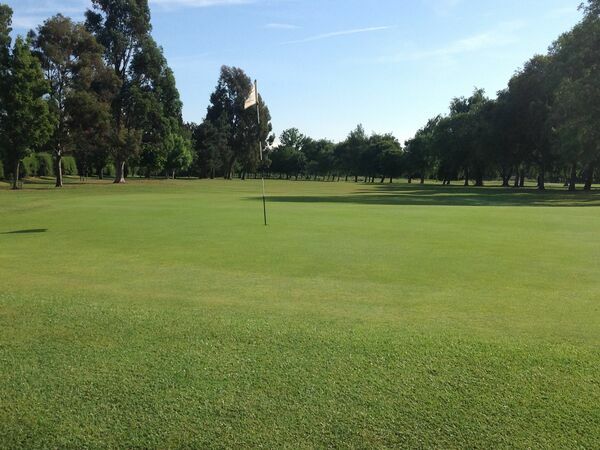 The green is a small, Mackenzie type, open at the front, but with bunkers left and right. Should you miss the green, five or more is the likely result. 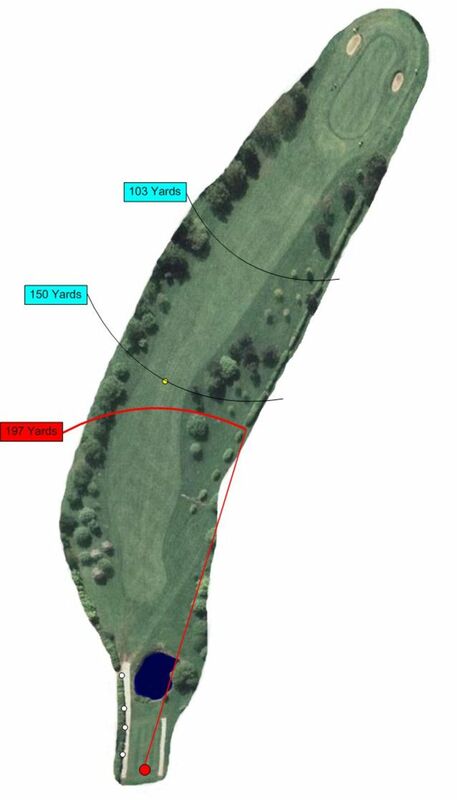 The Field, of which the traditional hedge and ditch boundary is still preserved and where the 9th hole is now played was called "Long Croft" in the 1842 map.